Does that mean my current advisor is obsolete? Not at all. Your current advisor already knows your situation and has insights that can help you meet your goals. A robo-advisor is just another tool on their belt. They may offer a selection of investment products including ETFs (Exchange Traded Funds) or other funds. They can balance investment across these funds to ensure the right mix of risk, return and volatility based on answers you provide about your individual circumstances and goals. The actual portfolios are managed and rebalanced by people, not computer algorithms. 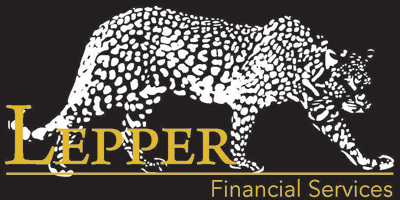 Together with your financial advisor they’re able to provide you with great service and competitive fees. An ETF – or Exchange Traded Fund – is a tradable fund that can track an index, bonds, commodities, or even a basket of assets. Rather then being invested directly into the stocks contained within a fund or market index, an ETF allows an investor to buy a share of the entire fund. The virtue of this is it allows an investor to easily buy and sell a stake in a fund. Beyond this, ETFs typically have much lower fees than investing directly in a mutual fund. Where a mutual fund might charge 2% or more annually, a similar ETF might only be 0.50% or less. By utilizing ETFs a robo-advisor can diversify your portfolio and continually rebalance the investments to ensure that it maintains your desired mix of attributes. So, why should I use a robo-advisor? Robo-advisors can free up your financial advisor to spend time on the things that matter most to you. By outsourcing investment selection and rebalancing, it allows them to focus on your holistic financial planning and your retirement and investment goals. Robo-advisors also tend to have lower minimum investments and allow the investor to access asset classes and pools typically reserved for those investing $250k and above. Combine this with lower fees and it makes it practical and effective for people looking to invest $1,000 in their TFSA or even $1M and above. On top of the savings, some robo-advisors also offer apps and online tools so you can see in real-time your financial position, how your portfolio is invested, and quickly and easily move money in and out of your account – even from your phone or tablet. Which robo-advisor is best for me? Not all robo-advisors are created equal. Firms can offer a wide variety of different services and pricing, so finding the right one for you is important. Some robo-advisors such as WealthBar, provide access to a wider range of portfolios such as private wealth pools that are exclusively available through your financial advisor. These private wealth pools can allow you to include hard asset real estate, mortgages, and private equity to help diversify your portfolio. Your best bet is to talk to your financial advisor about your investment options and whether a robo-advisor may be right for you. This article is for general information purposes only and is based on Canadian practices and law. The information contained in this article must not be taken or relied upon by the reader as legal, accounting, taxation, financial or actuarial advice. For these matters, readers should seek independent professional advice. Please refer to insurance company illustrations, policy contracts and information folders regarding any insurance matters referred to in this article.